With over 62 years in the rental business, our experienced event professionals have all the party equipment to help you make your next event a success! While we may not be a Party Store, Thompson Rental Station is your one stop shop for all of your party rental needs in Bensenville and Des Plaines IL. 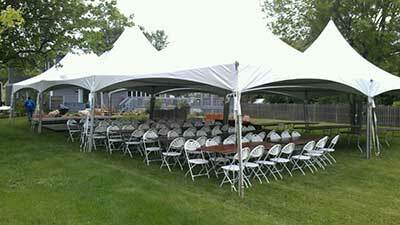 Whether you’re throwing a backyard BBQ or birthday party, a corporate event or a celebration, we have all the tents, chairs, concessions and inflatable bounce houses you’ll ever need.